PPAs are a great way for Linux users to install software that's unavailable in central repositories, but carry some risks you need to be aware of. Linux users install most of their software directly from a centralized package repository managed by their Linux distribution of choice. This is a convenient, one-stop shop place to get your software—but what if the repository doesn’t have the program you need, or you want a newer version? For Ubuntu and Linux Mint users, that’s where personal package archives come in. PPAs depend on the Apt package manager created by Debian. Due to their success, it’s no surprise Debian’s new project leader wants to add support for PPAs. Usually just abbreviated to “PPA,” a personal package archive is just another little software repository you can add to your system. It generally contains many fewer packages than the tens of thousands included in big repositories. PPAs can contain new packages, new versions of packages, and other unstable packages that will one day be integrated into the main repositories, but aren’t yet. They’re hosted by individuals or teams on Canonical’s Launchpad service. PPAs can be used on Ubuntu and Ubuntu-derived distributions, including the standard version of Linux Mint—but not Linux Mint Debian Edition (LMDE). Adding a PPA to Ubuntu. This isn’t just a risk for PPAs, of course. It’s a concern when adding a third-party package repository from anywhere. It’s also a concern when installing any Linux package or program from the web—or even installing a Windows application from the web. You may come across a PPA when searching for software you want to install. Or, you may want to hunt one down. You can search a complete list of available PPAs on Canonical’s Launchpad website. For example, search for Wine and you’ll find a variety of different versions of the Wine compatibility software for running Windows programs on Linux. 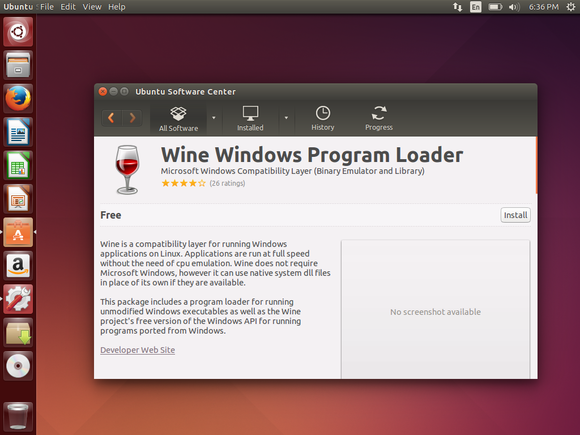 The Ubuntu Wine Team hosts a Wine Team PPA where you can get the latest versions of Wine. The Wine project even officially recommends using this to install the latest version Wine on Ubuntu. Installing Wine from a PPA. Adding a PPA to your system is simple; you just need to know the name of the PPA, which is displayed on its page on Launchpad. For example, the Wine Team PPA’s name is “ppa:ubuntu-wine/ppa”. On Ubuntu’s standard Unity desktop, open the Ubuntu Software Center, click the Edit menu, and select Software Sources. Click the Other Software tab and click the Add button. Type ppa:ubuntu-wine/ppa into the box and click Add Source. On Linux Mint, open the Software Manager, click Edit, select Software Sources, click the PPAs icon, and add a PPA by entering its name. Adding Wine's PPA to Linux Mint. 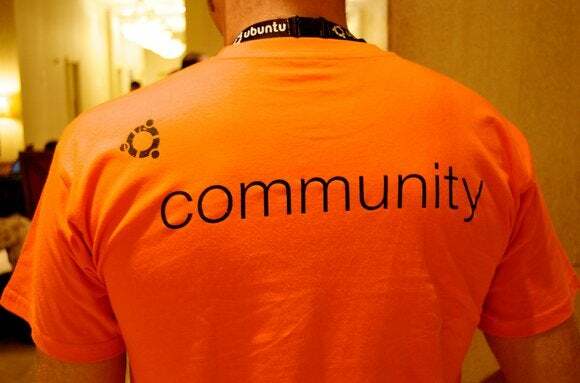 On other Ubuntu desktops, you’ll want to look at your software-installation tool for a list of software sources where you can add more software. If you can’t find such a graphical tool—or if you’d just rather do it from a terminal—you can open a terminal window and run the sudo add-apt-repository ppa:ubuntu-wine/ppa command. 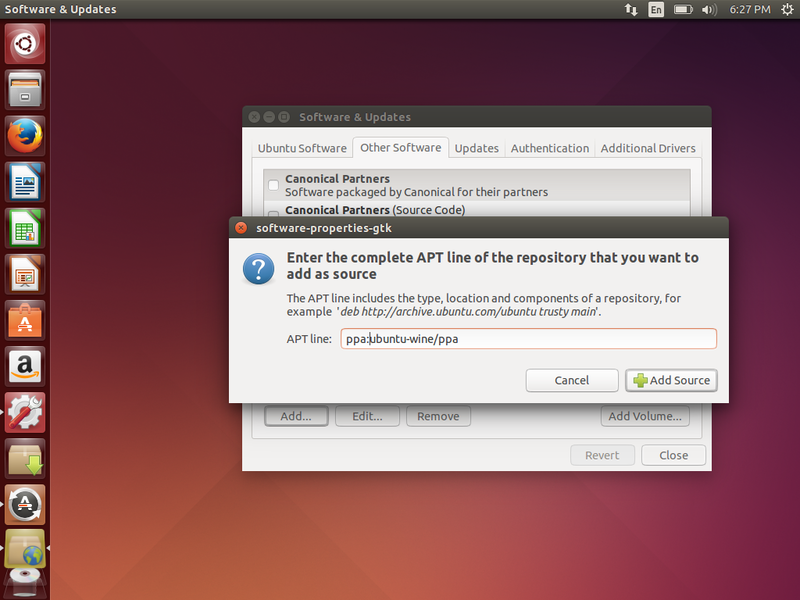 Replace ppa:ubuntu-wine/ppa with the name of the PPA. After you add the PPA, you can install packages from it using your normal software-installation tool—for example, Ubuntu Software Center on Ubuntu’s Unity desktop, Software Manager on Linux Mint, or the apt-get command in a terminal. Those packages will be updated through your desktop’s normal update manager, too.